The Society ownership extends to cover large parts of Marley, Lynchmere and Stanley commons. The Marley area is separate from that of the Lynchmere and Stanley areas. Each area of common has differing characteristics and for the management plan they are divided into a total of 12 compartments. ​Stanley Common contains compartments 1 through 4. 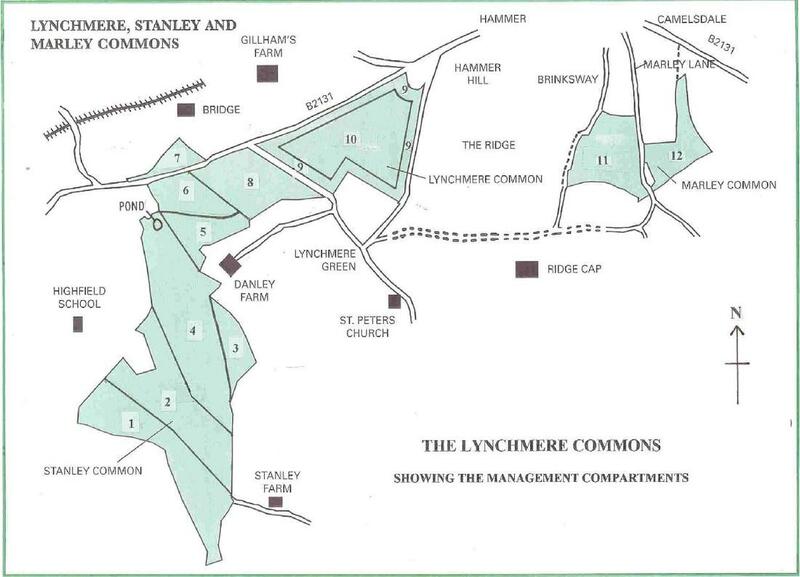 Lynchmere Common is comprised of compartments 5 to10. Finally Marley Common is made of compartments 11 and 12. Numerous surveys have been conducted over the years which can be found here.